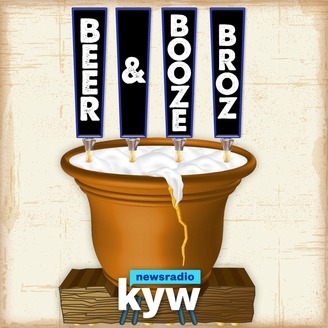 The Beer and Booze Broz podcast from KYW Newsradio records on location in wine cellars, distilleries, and brewery back rooms - focusing on the inventors, insiders, and imbibers of adult beverages in the Philadelphia region. Paul Kurtz and John McDevitt are the "Booze Broz". They've done extensive research on beer, wine, and spirits, and say they were basically born for this opportunity. The Beer and Booze Broz celebrate International Women's Day by hanging out with craft brewers in pink boots and learning how the beer industry is changing behind the scenes. Then, it's off to a tour of lagers, from the old country to the new. And the boys get a master class in why bourbon barrel aged beer is delicious. The Broz cap off the episode by deciding how they feel about a new list ranking the biggest craft brewers in the US, and Paul establishes an evil empire. 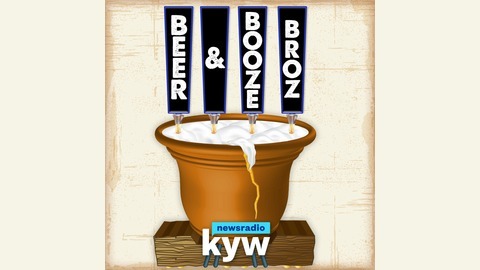 The Beer and Booze Broz is a KYW Newsradio original podcast. John McDevitt (@jm1060) and Paul Kurtz (@kurtzpaul) are the Broz, and Tom Rickert (@teerick) produces the podcast. If you like the show, leave us a rating and review, and make sure to subscribe! Links to things we drank today.